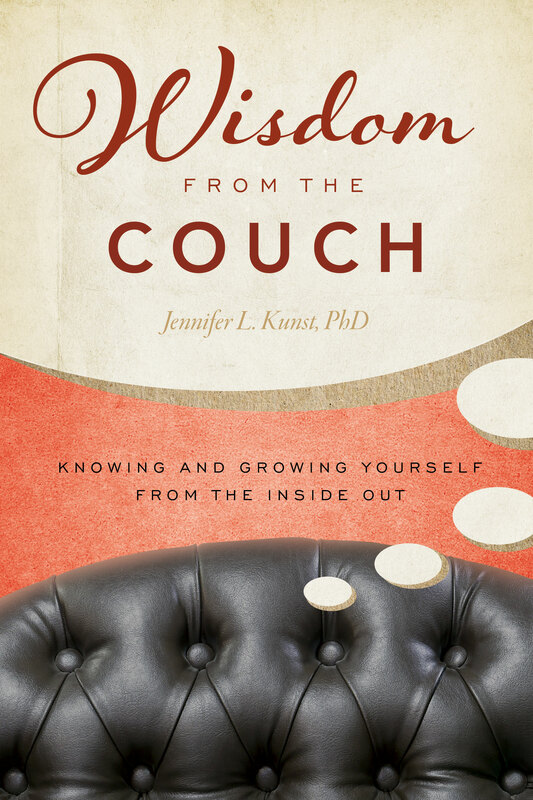 My book, Wisdom from the Couch: Knowing and Growing Yourself from the Inside Out (2014), is a useful guide to understanding the mysteries of the mind and how we can change for the better. In writing the book, I hoped to reach a broader audience of people who might not otherwise be exposed to the kind of deep work that I do in my private practice. Wisdom from the Couch will also appeal to students, mental health professionals, and anyone engaged in the journey of personal healing and transformation. It is a great book to give to a family member or friend who is searching for help, and a great addition to a therapist’s waiting room! Just to give you an idea of my approach, I raise some key questions that are on the minds of all those who are seeking a more satisfying, meaningful life: How can it be that perfectly intelligent people do such obviously counterproductive things so much of the time? Why do we do the things we know we shouldn’t do, and why do we fail to do the things we know we should do? The simple answer to these questions is that the unconscious mind greatly influences all that we do. If we come to understand ourselves at a deeper unconscious level, we have a chance to make changes in our lives that have the potential to last. To learn more about Wisdom from the Couch or purchase it on Amazon, CLICK HERE. You also can listen to the New Books in Psychoanalysis podcast if you CLICK HERE. Or read a book review and interview by Dr. Ryan Howes if you CLICK HERE.